CONJUCION—Conjunction happens when two or more planets come close within 8 degrees distance of each other. The nature of the planet influence each other very prominently and their intensity will increase. 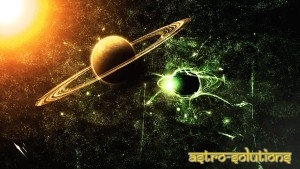 TRINE—Trine happens when two or more planets are within 120 degrees distance from each other. It indicates easy luck. Here one must consider the strength of planets and the sign, the planets are positioned in. SEXTILE—Sextile happens when two or more planets are within 60 degrees distance from each other. It indicates opportunity. Here one must consider the directional strength of the planet to know from which direction the native will get opportunity in life. SQUARE—Square happens when two or more planets are within 90 degrees distance from each other. It indicates obstacles in life. One must consider this aspect and take remedial steps. OPPOSITION—Opposition happens when two or more planets are 180 degrees apart from each other. It indicate awareness. According to my opinion, it is a very important aspect as it reveals AWARENESS, that will make our life easy to lead. SEMI-SEXTILE—Semi-sextile happens when two or more planets are within 30 degrees distance from each other. It indicates cooperation. SEMI-SQUARE—Semi-square happens when two or more planets are within 45 degrees from each other. It creates friction. SES QUISQUARE—Ses Quisquare happens when two or more planets are within 135 degrees of each other. It indicates agitation. QUINCUNX–Quincunx happens when two or more planets are within 150 degrees apart each other. It indicates growth in life. While considering the above aspects, one must consider the relation of planets according to panchadha maîtry (friendly or inimical or neutral for each other). Transit of planets and time of Antardasha also should be considered for accuracy of time period.